In the War Between. 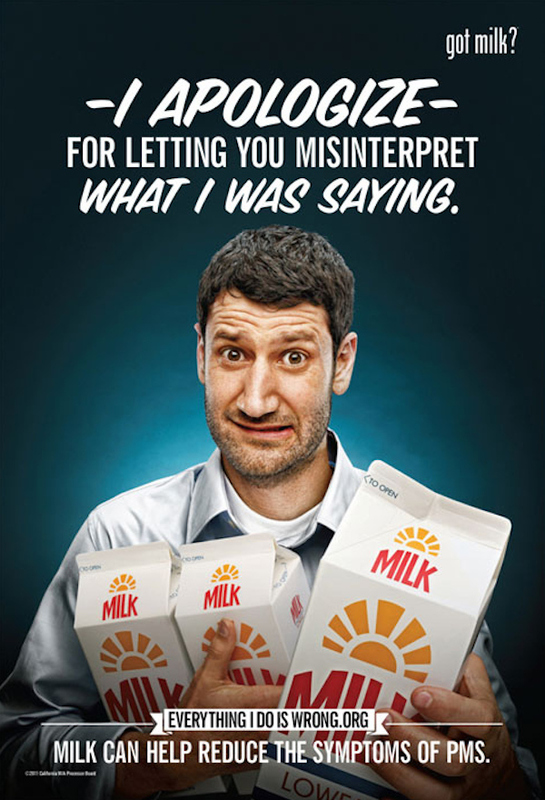 : California Milk Processers' New PMS Campaign: Women are Irrational Assholes and Men are Spineless Pussies. GOT MILK??? 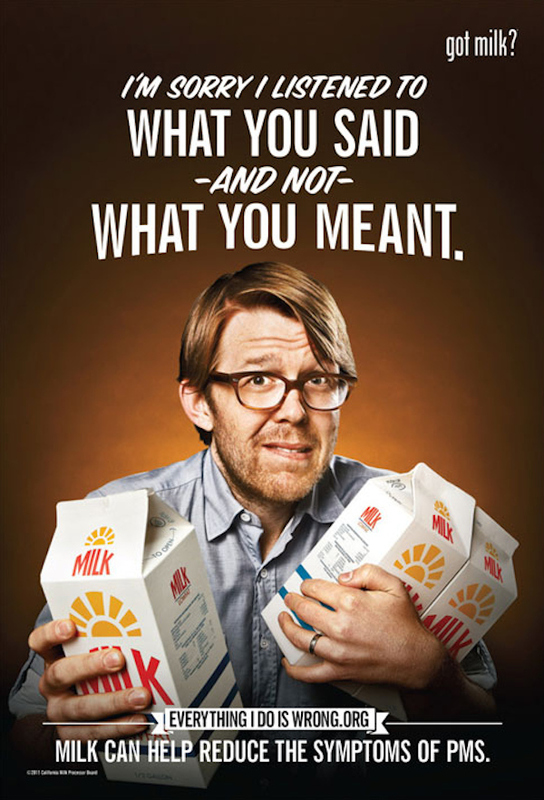 California Milk Processers' New PMS Campaign: Women are Irrational Assholes and Men are Spineless Pussies. 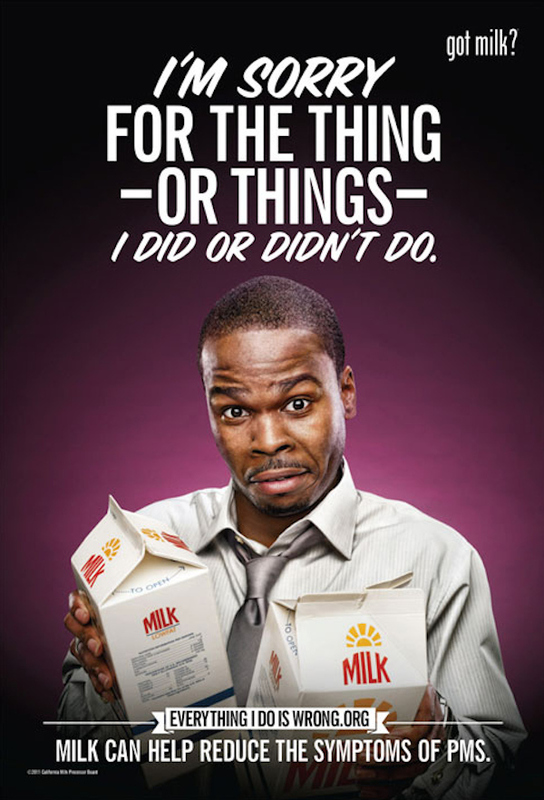 GOT MILK?? ?